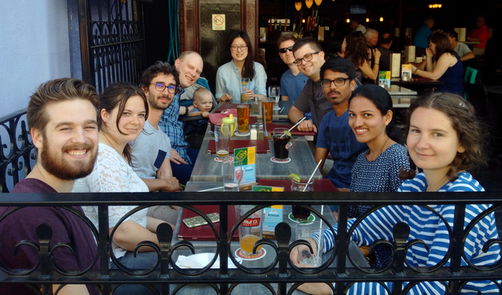 Based in the Department of Chemistry and Biomolecular Sciences at the University of Ottawa, the Bryce Lab has diverse research interests in solid-state nuclear magnetic resonance spectroscopy, quantum chemistry, halogen bonding, mechanochemistry, and more. Professor Bryce leads a skilled team of graduate students, undergraduates, postdoctoral fellows, and interns. Our work is published in the leading internationally-recognized chemistry and general interest journals, as well as in top specialty journals. Learn more about solid-state NMR spectroscopy of low-frequency quadrupolar nuclei, halogen bonding, double-rotation NMR, biomolecular NMR spectroscopy, solid-state NMR of inorganic and bioinorganic systems, mechanochemistry, and the interpretation and quantum chemical calculation of NMR interaction tensors. We have developed EFGShield, which parses and summarizes the results of quantum chemical calculations of NMR parameters, and QUEST, a spectral simulation program for solid-state NMR. 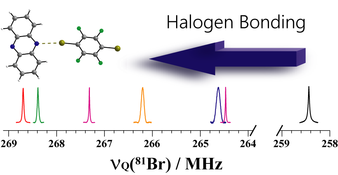 Halogen Bonding as a Supramolecular Dynamics Catalyst. 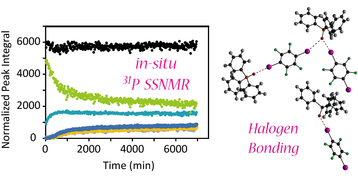 Comparing the Halogen Bond to the Hydrogen Bond by Solid-State NMR: Anion Coordinated Dimers from 2- & 3-Iodoethynylpyridine Salts. Dynamic Disorder and Electronic Structures of Electron-Precise Dianionic Diboranes: Insights from Solid-State Multinuclear Magnetic Resonance Spectroscopy. A Kinetic Study of Mechanochemical Halogen Bond Formation by In-situ 31P Solid-State NMR Spectroscopy. Our recent collaboration with the University of Torino was featured on the cover of Chemical Science. 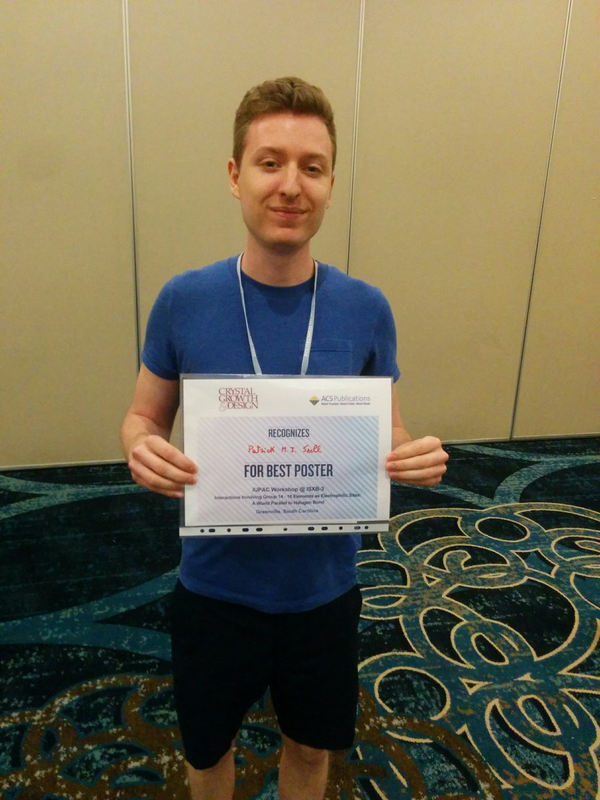 PhD candidate Patrick Szell won the ACS Crystal Growth and Design poster prize at the IUPAC Workshop on Group 14-16 Interactions held in Greenville, SC, USA. 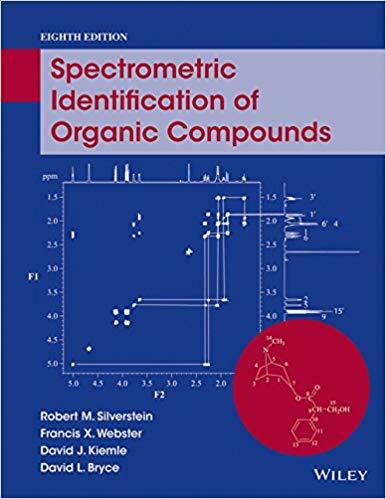 Spectrometric Identification of Organic Compounds, 8th Edition, is available now.